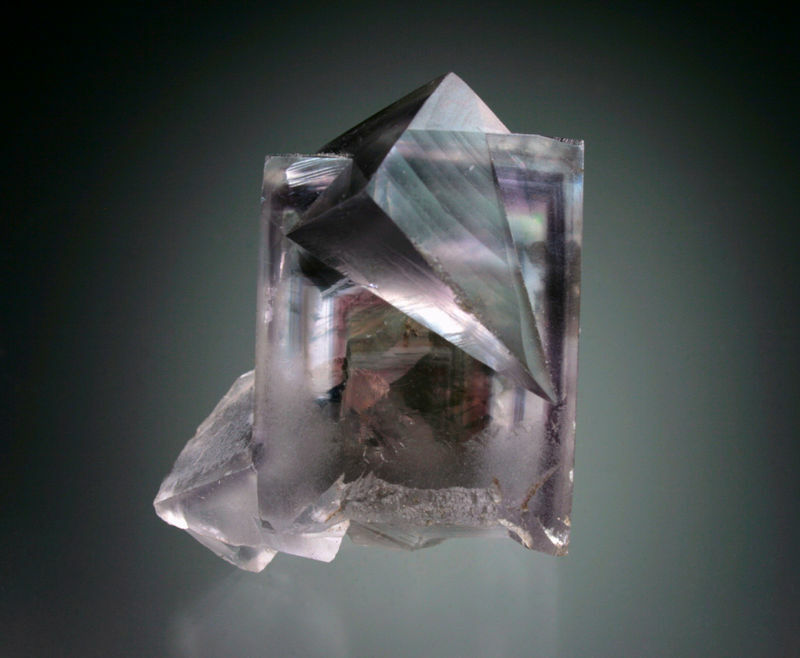 A nice twinned fluorite from the Boltsburn Mine showing well-developed internal color zones. That is really really nice! Another from the Boltsburn Mine. A classic combination from the flats on the Boltsburn East vein, likely recovered circa 1920. One of the big problems with older specimens from North Pennine Orefield in England is lack of specific location information. Mining in the areas of Weardale and Alston Moor has gone on for at least the past millennium, and maybe even back to Roman times, and mineral specimens have been collected as curiosities for at least the past several hundred years. Until recent years, specific location information rarely, if ever accompanied the specimens, and only general locations such as "Durham," "Weardale," "Alston Moor," or "Cumberland" were given. Geography and political history have further confused matters. 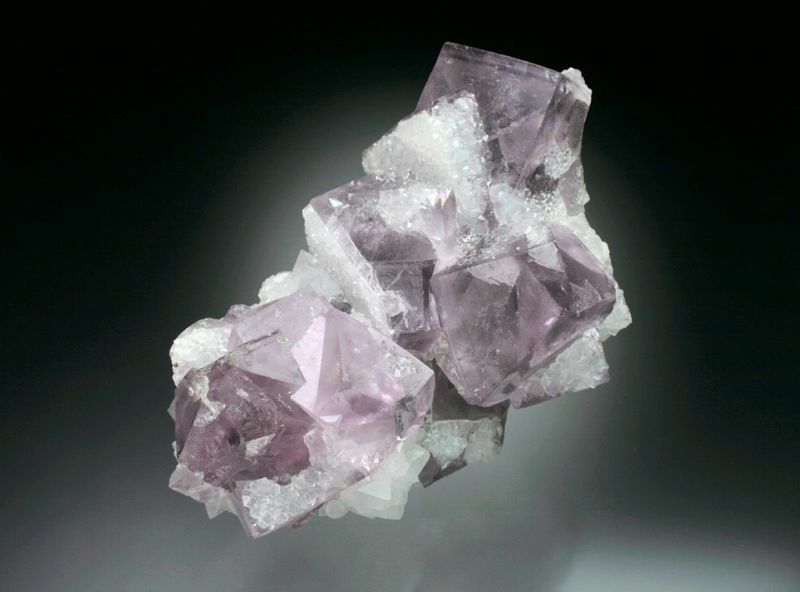 The majority of specimens (particularly fluorites) recovered in recent years have come from Weardale, which is in County Durham (not to be confused with the city of Durham). Alston Moor adjoins Weardale to the west, and was in Cumberland, a separate county now known as Cumbria, and also has a few notable fluorite localities. Adding to this, East Allendale, located in the county of Northumberland just to the north of Weardale and Alston Moor also has some notable fluorite localities. What we have is essentially a single geological province (or "orefield") which is covered by three separate (and often changing) political divisions. Some of the older and more prolific mines such as the Boltsburn (in Weardale) and Rotherhope Fell (in Alston Moor) are fairly well documented in collections such as Arthur Russell's, which is now in the NHM, London. Familiarity with these collections as a reference can sometimes allow one to make educated guesses as to which mines older, poorly located specimens may have come from. For specimens recovered prior to the early to mid 20th century time frame of these collections it is often impossible, and one must be satisfied with a general location such as "Weardale." 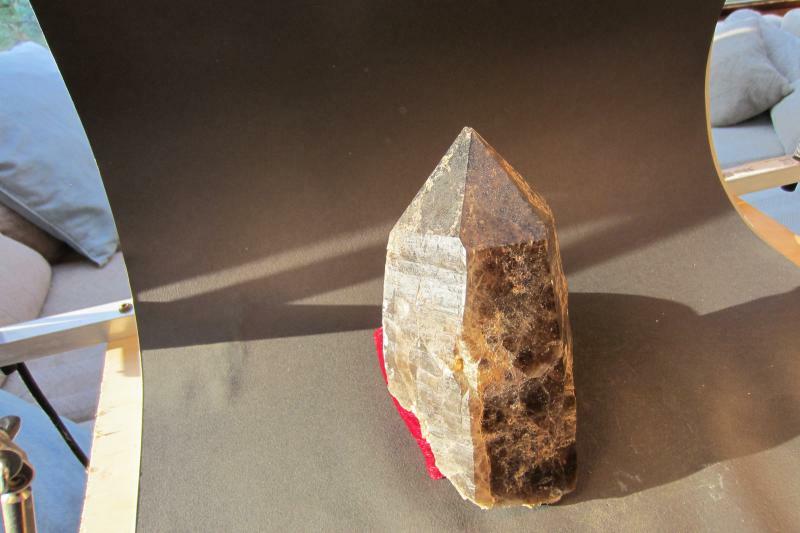 Unfortunately, modern mineral collectors are often not satisfied with vague and imprecise locations, which leads many dealers (and collectors) to make less than educated guesses as to exact locations for many older specimens. Once this "guess" gets put on a specimen label it then becomes "fact" for subsequent owners whether it was correct or not. A good example of this tendency is the specimen below. This specimen came identified simply as coming from "Cumberland." I have been told by a couple of "authorities" that it is either from the Frazer's Hush or alternately Rotherhope Fell mines. While the specimen resembles material known from both, the problem is that the specimen itself came from the Philadelphia Academy of Science collection and can be dated to sometime prior to 1860. 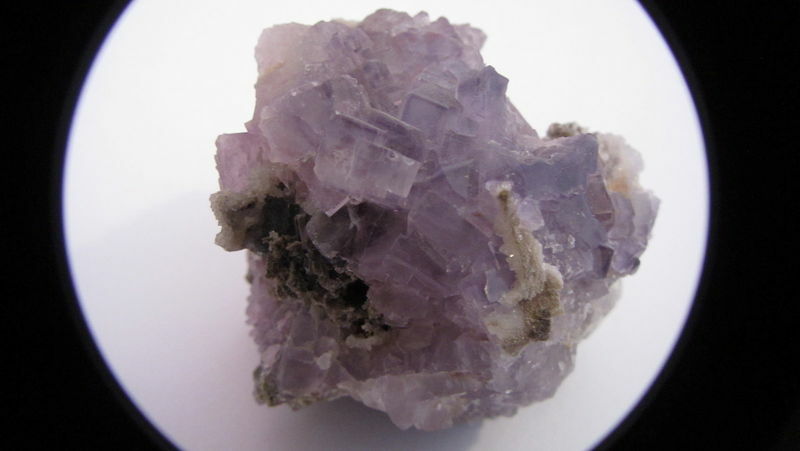 The known finds at Rotherhope Fell occurred around 1929-1930 and Frazer's Hush did not exist as a mine before around 1974 (the famous find of purple fluorite occurred in 1988). It could be from Weardale or it could be from Alston Moor. Without some compelling evidence, we're unlikely to be able to say more than that. The specimen is from the T. B. Wilson collection, acquired by the Philadelphia Academy of Science in 1860. Another old "Cumberland" specimen from the T. B. Wilson collection/Philadelphia Academy of Science. A nice specimen but I have little clue as to which mine it may have actually come from. The Groverake Mine was a major ore producer during the latter part of the 20th century, but was not known for producing many specimens. This one's not half bad, however. 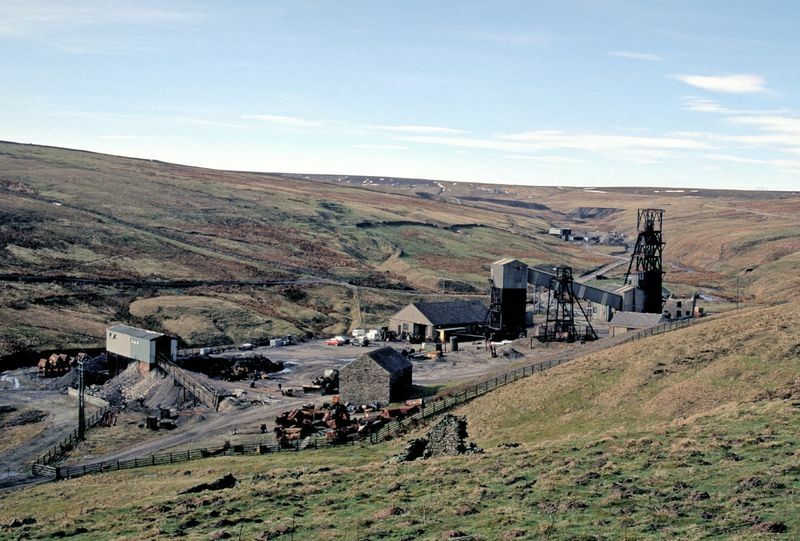 A photo of the Groverake Mine, taken March 1999, around the time of the mine's final closure. 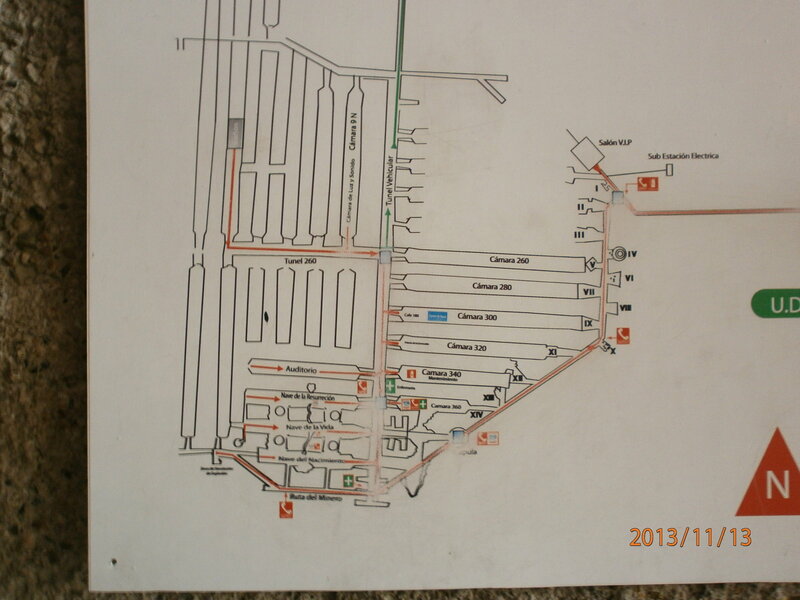 The site is currently in danger of being totally cleared. 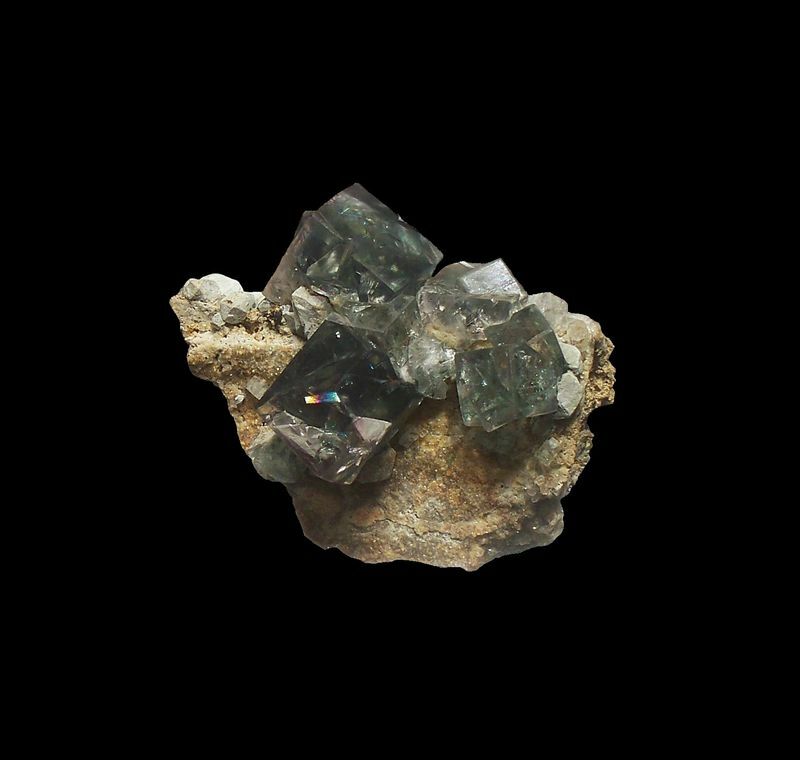 A really good idea to add some photos and information about the localities of the minerals that are presented in our mineralogical trips, thanks Jesse! A small but very sharp fluorite twin, recently collected from the Boltsburn West level. 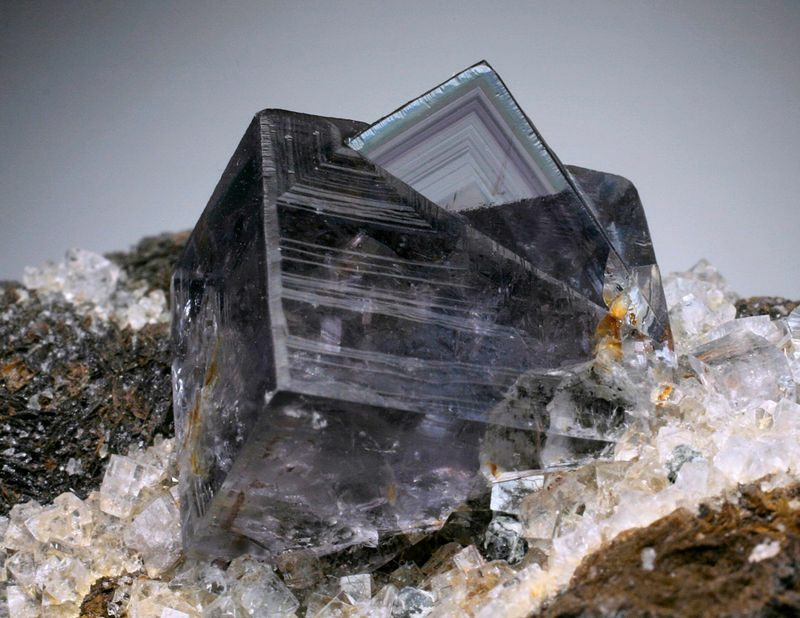 The crystal shows well developed vicinal faces and numerous internal color bands. The second photo, taken in LWUV light reveals complex internal zoning. 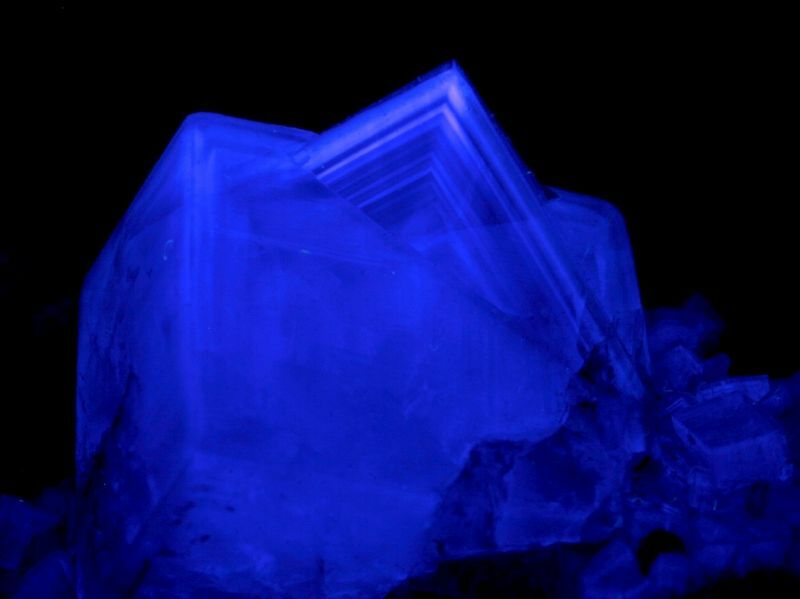 photo of previous specimen, in long wave UV light. 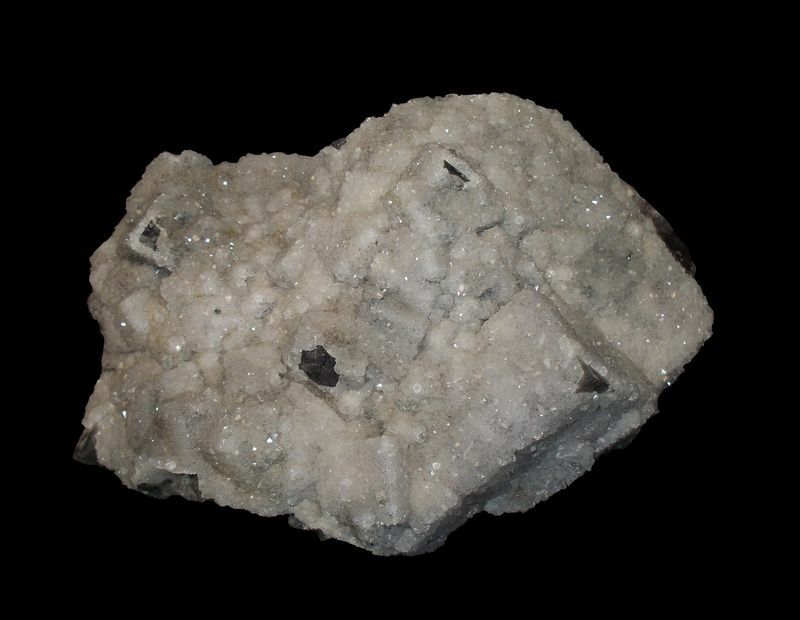 Although I have seen many Rogerley Mine specimens over the years, this particular specimen is one of my favorite specimens from this locality in my collection. A small label attached to this specimen indicated that it was found in the Black Sheep Pocket zone, 2000. Fisher, J., 2000, The Rogerley Mine, Weardale, County Durham, England: Rocks & Minerals, v. 75 (1), p. 54-61. Large cabinet specimen of druzy quartz over purple fluorite. From the Black Sheep Pocket, 2000. 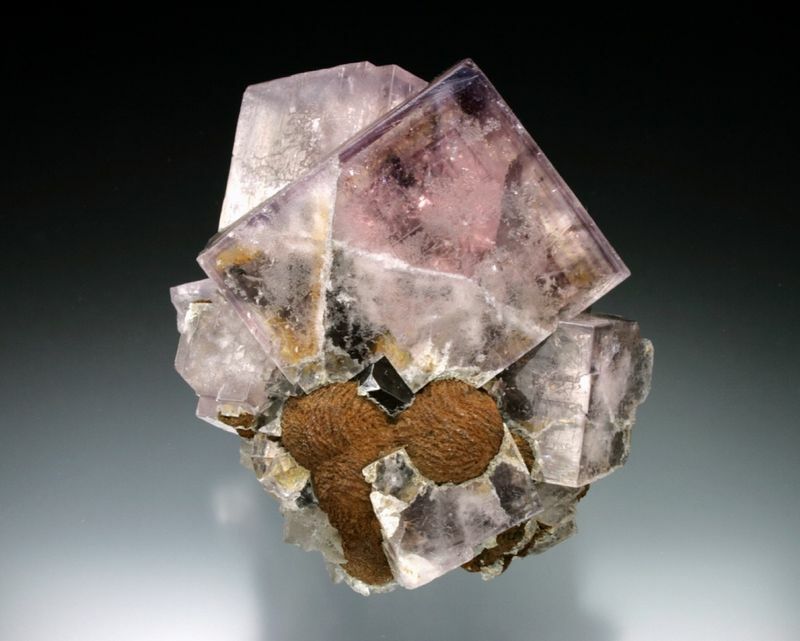 Large cabinet specimen of druzy quartz over purple fluorite. From the Black Sheep Pocket, 2000. This photograph shows a cross section of the paragenesis of the specimen. Great, and informative post! Nice specimen too. These Quartz/Fluorite combos are pretty rare from the Rogerley. 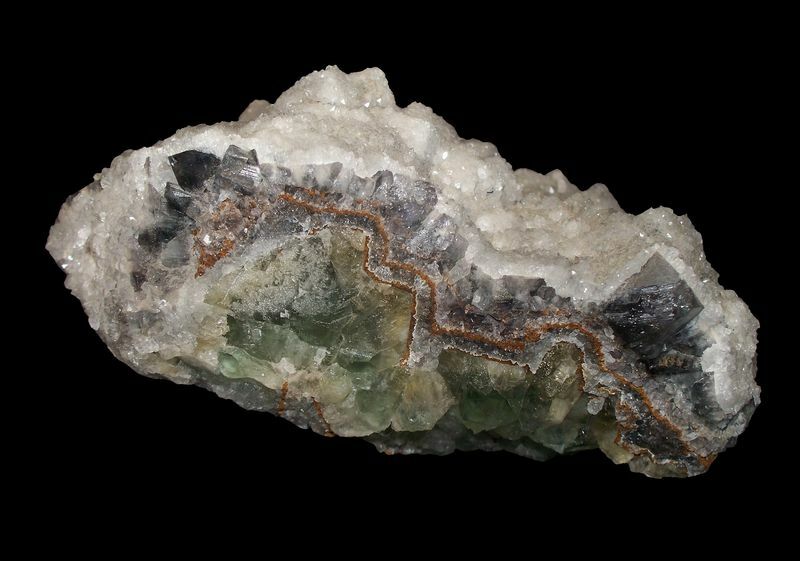 Yes, that specimen definitely came from a cavity on the Greenbank vein rather than the flats, which produce the green fluorite. During our first year at the mine (1999) we discovered a fairly large, pipe-like cavity on the vein near the far end of Lindsay and Mick's tunnel, about 50 feet (15 meters) past the entrance to the Black Sheep pocket. This cavity was named "The Weasel Pocket" because when we found it, the cavity was inhabited by a small creature, likely a stoat. 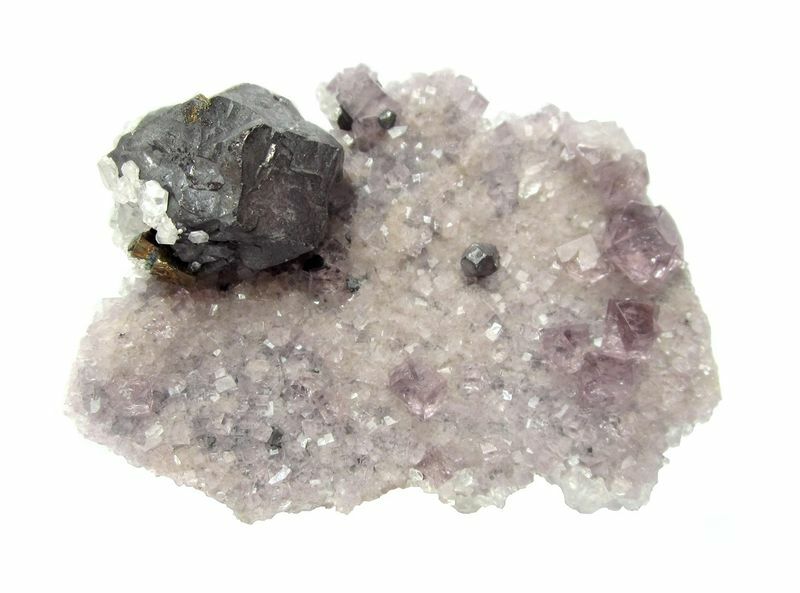 The pocket was collected over the course of two years, and yielded some interesting quartz-coated fluorite clusters. Here is one that I've kept for myself. We are now finishing another summer season at the Rogerley (our 18th year! ), and it has not been our easiest year. 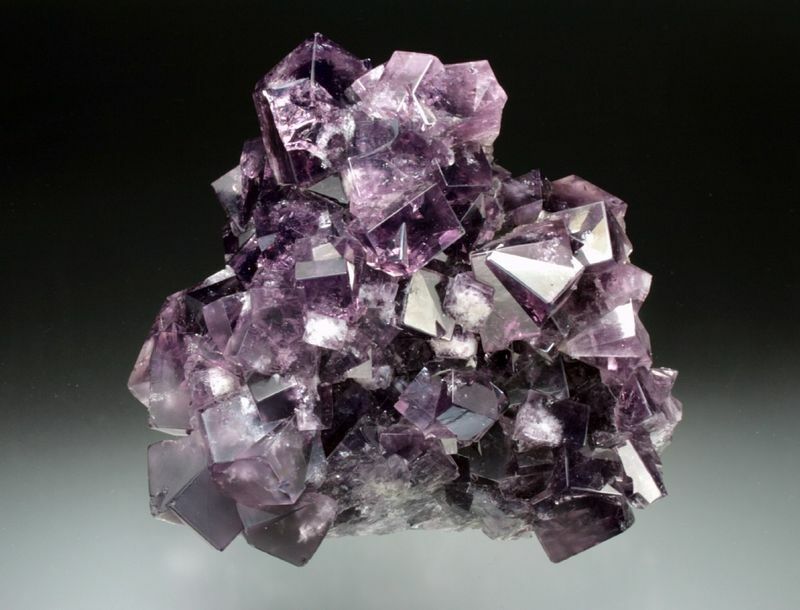 Along with the usual problems of old equipment that breaks down and fluorite pockets that disappear without warning, we have now the problem of local authorities who are looking closely at what all mineral collectors are doing in the UK. Although I do not yet know the outcome of this, it has the potential to make collecting, at least on a commercial scale much more difficult and expensive to comply with new regulations. But regardless, we have had many good years here and found many good specimens. Here is one that we found this summer. Cheers! from the Bluebirds pocket zone, July 5, 2016. The Heights Pasture Mine is a relatively small prospect on the Slitt vein, between the Heights Mine/Quarry and the Cambokeels Mine. 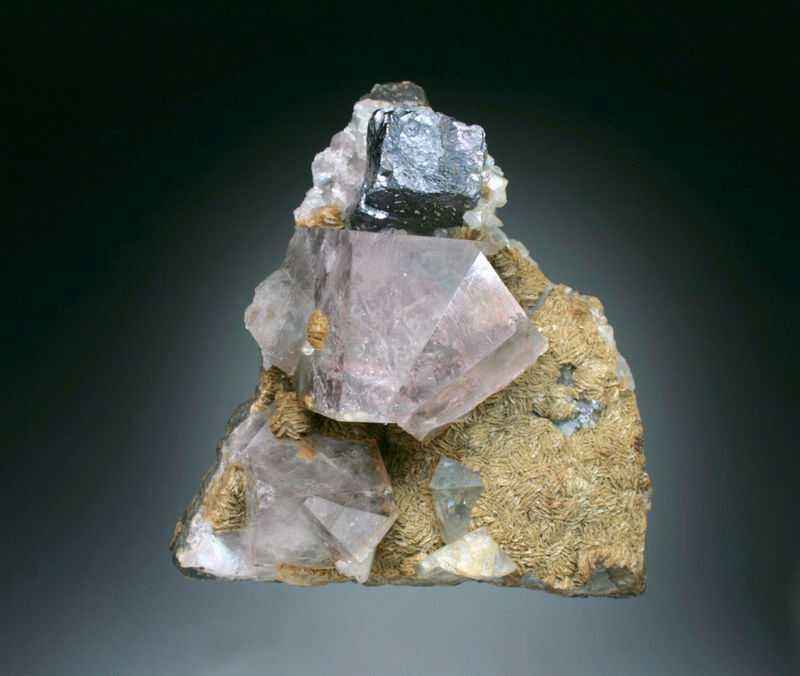 It was worked for fluorspar between around 1905 - 1920. 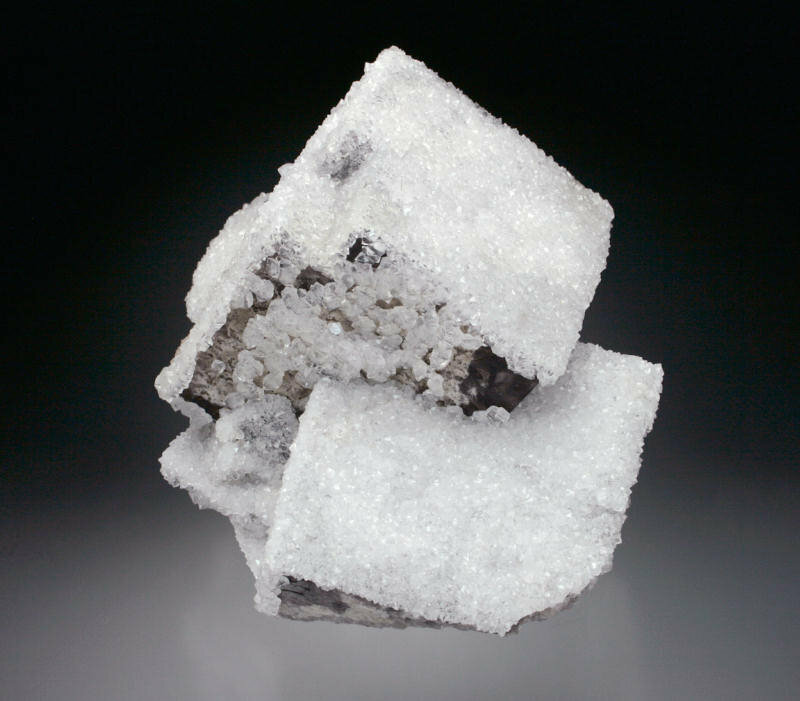 While photographing the specimen, I noticed that some of the crystals showed well-developed hexoctahedral corners on the cube. 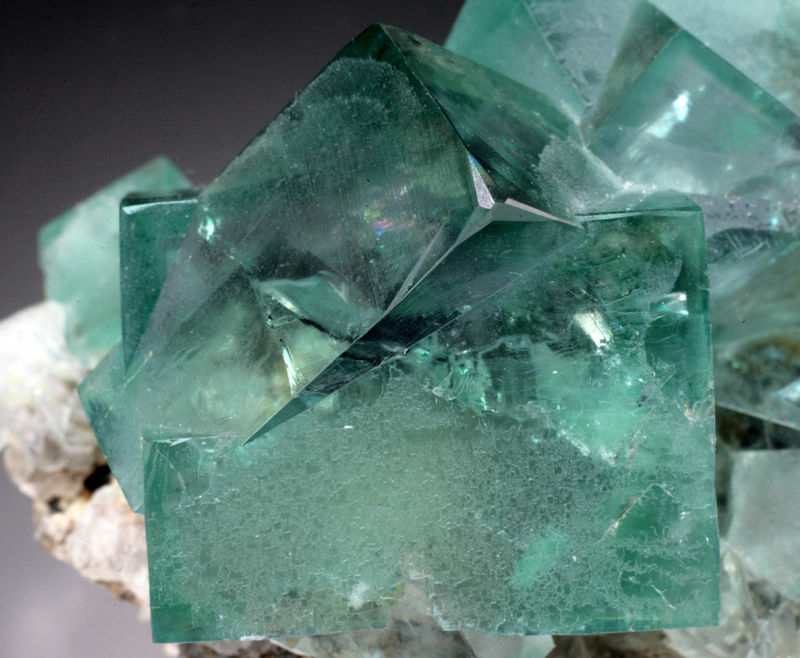 Modifications like this are uncommon, but not unknown on fluorite crystals from the Weardale region. Well-developed hexoctahedral corners on the cube. Those hexoctahedral corners are very interesting and pleasing, Jesse! We'll have to have a discussion about those in Tucson at my watering hole. I drove back from a wedding in Baltimore and on my way home, I decided to make a pit stop and visit the Carnegie Museum of Natural History in Pittsburgh, Pennsylvania. The museum is well known for its outstanding exhibits of minerals, but one thing I was disappointed was the lack of specific provenance information for specimens. Often you find things like “Fluorite – England” or “Fluorite – Germany” or “Stilbite – India” without any other specific information. While I was there I shot several pictures with my camera (since the museum doesn’t allow flash photography it was difficult to get good pictures) and with an IPad (I don’t own a smart phone). 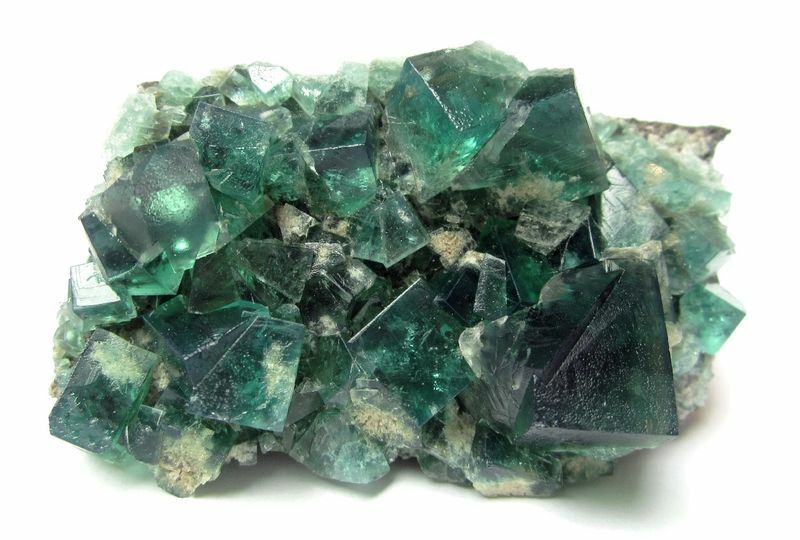 One particular fluorite specimen stood out was this gemmy green fluorite, which was labeled as Weardale. 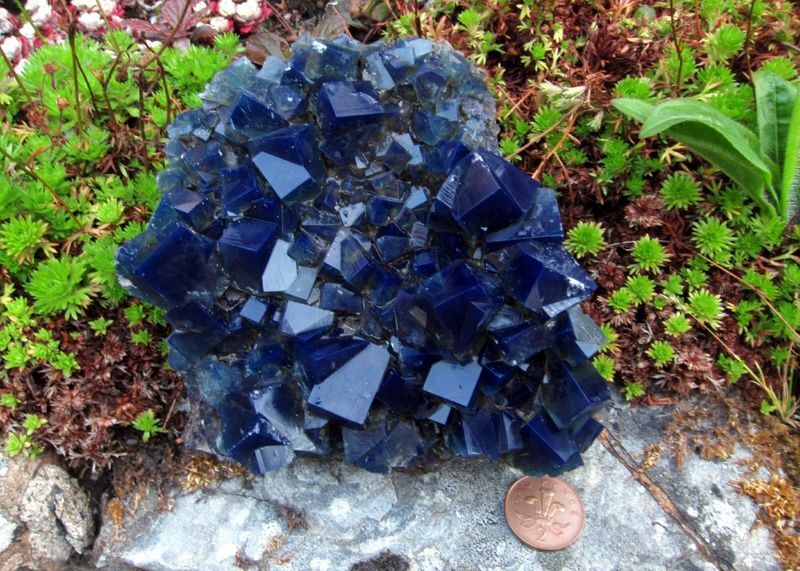 It strongly resembles similar specimens from the Heights Mine, but that is just my personal opinion (Jesse Fisher knows more about English fluorites than me, so he probably could peg a more precise locality). The measurements are a guess based on the photograph I took. 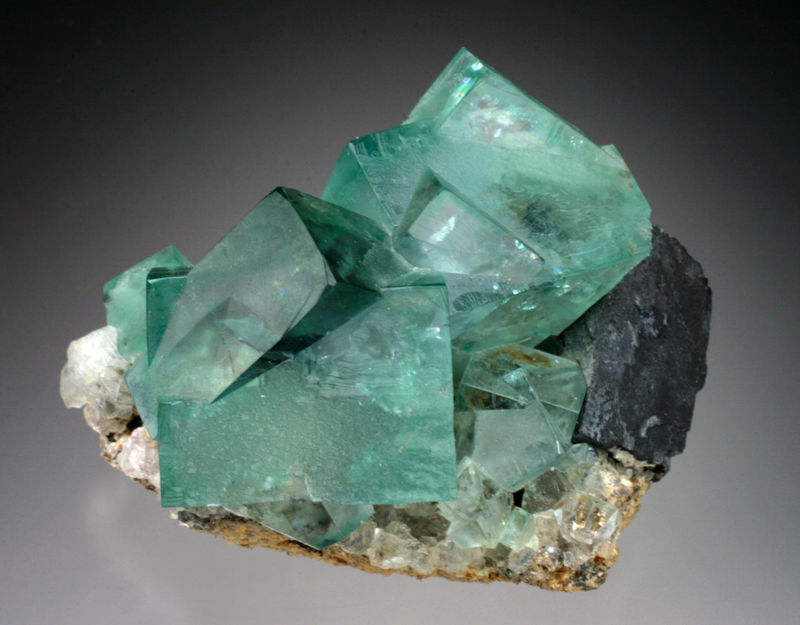 Transparent green fluorite with minor galena. Carnegie Museum of Natural History specimen.